I do own tons of Zoeva brushes, but I gotta say that I have not tried (nor feel the compulsion to) their eyeshadows. Their brushes are amazing as they are of good quality and are pretty affordable as compared to many other brands. But now, I realised that their eyeshadows are pretty darn amazing too. 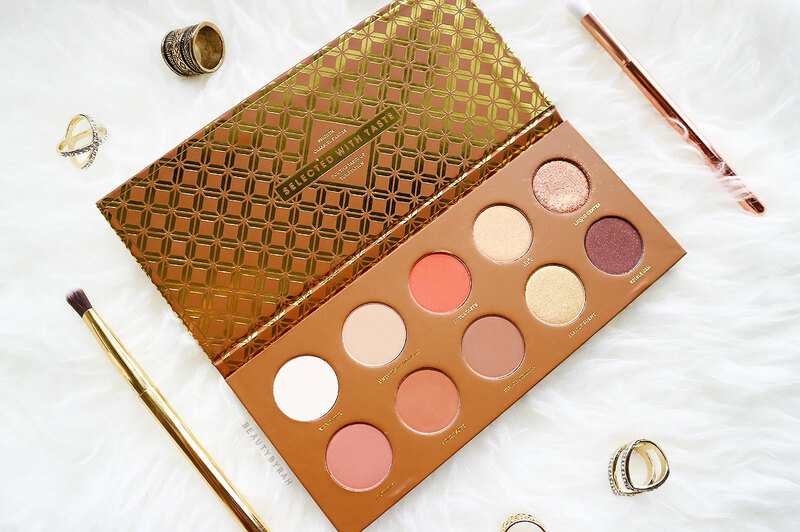 One night, I was browsing thought Bloglovin' and I saw a post on the Zoeva Caramel Melange Palette. Somehow, something clicked and I realised that I needed (ok, wanted) it in my life. I can't help it, my self control wanes throughout the day and I was weak. I hopped over to Sephora and added it to cart. After a few days, I collected it from the POP station (to save shipping fees) and this baby was finally mine. Zoeva eyeshadow palettes come in thin and sleek cardboard packaging. Not the sturdiest I've seen, but it definitely qualifies for one of the most travel friendly and compact packaging thus far. 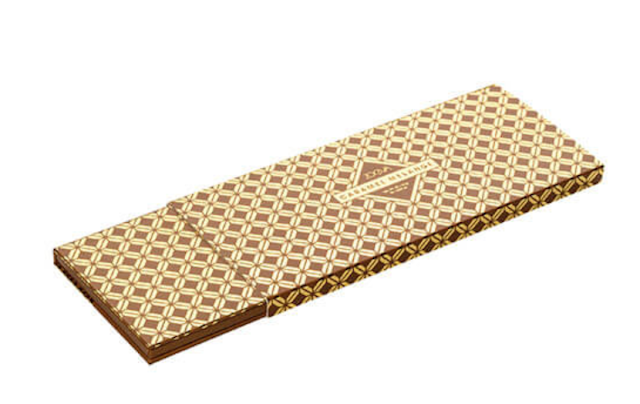 The design of the cardboard is absolutely stunning, featuring a classy gold and warm brown. Side note, as I was writing this post, an eyeshadow (shade Liquid Center) dropped out of the packaging. It didn't shatter as it landed on my lap, thank goodness. Now I gotta go find some glue to stick that back in. My heart can't take anymore of this. The palette comes with 10 eyeshadows, 6 mattes and 4 shimmers. I am glad that they are 6 mattes and mattes form the basis of my eyeshadow application and I usually use a minimum of 3 for any look. With palettes that have less than that, I find myself (grudgingly, sometimes) reaching for another palette to satisfy my matte shadow needs. The mattes are lovely to work with and they blend easily on the lid. It isn't patchy and the pigmentation is great too, and I rarely find myself dipping twice to get the shades to show on the lid. Wax Paper is great for highlighting the brow bone and setting the lid before applying the rest of the eyeshadows. This is a pigmented white and one dip is enough the lift and brighten the brow bone area. Start Soft may actually be my favourite transition shade ever. This warm toned brick brown adds a hint of warmth to the lids without being too much and I love how it adds definition to the crease with looking muddy. Universal Delight works great as a transition shade as well, if you want to opt for something less warm and deep. The shimmers are fantastic as well, sans the shade Edible Gem. The shade, Liquid Center, is mind blowing. It was so foiled that I was taken aback when I applied it on my lid. The pigmentation and shine reminded me of the Makeup Geek Foiled Shadows. Edible Gem was tad patchy and I did notice that its formulation is a tad drier compared to the rest of the shadows. I noticed that blending took away the intensity of the shadow and I found myself constantly going back in to deepen the shade. I think this palette has a good range of shade choices, ranging from the matte white to a deep burgundy to deepen the eyeshadow look. 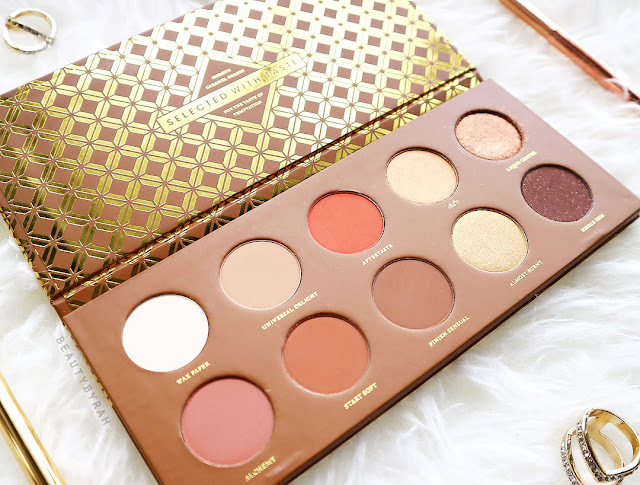 This palette is definitely a great addition for fall as well as for upcoming Christmas parties! The Zoeva Caramel Melange Palette retails for SGD 38 and can be found on Sephora Singapore's website here. If you don't mind waiting, you can also check it out on Beautybay as it is cheaper, retailing at SGD 34.10 but do note that shipping does take a while. I highly recommend this palette if you enjoy warm toned shadows! It is really affordable as well considering you get 10 shades (1.5g each - for comparison, Urban Decay Naked Palettes are 1.3g per pan) that are of great quality. This is truly a lovely palette that is packed with warm tones and is an affordable fall eyeshadow palette! P.s. I just took the photos for a pictorial using this palette so keep your eyes peeled! I will update with the link here when it is published.